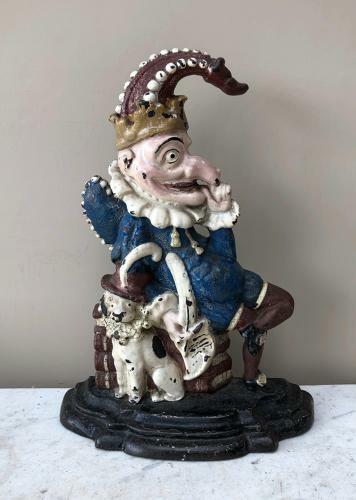 This is probably the best Victorian Mr Punch Doorstop I have had....Superb Original Condition...look at the paint it is wonderful. There are many reproductions of these doorstops...rest assured this is completely right. Does his job very well...heavy so post is Parcel Force 48 for £12.98.